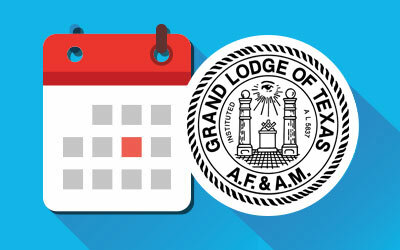 On December 5, 1934, at Waco, the Most Worshipful Grand Lodge of Texas was opened in ample form for its 99th Annual Communication. The Most Worshipful Grand Master, William Stephenson Cooke, presided and the gavel used by him during the session was fashioned from a black walnut hand-hewn pillar taken from the home in which he was born, which gavel had previous to the opening of the Grand Lodge been presented to him by Masonic brethren of the City of Fort Worth. Our immediate Junior Past Grand Master, Brother Cooke, is of Scotch-English ancestors, who settled early in Virginia and contributed distinguished officers in the fight for America’s freedom in the Revolutionary War and again championed the side of the South during the conflict between the States. Brother Cooke was the son of William Locke Cooke and Beatrice Stephenson Cooke, and was born at Thyatira, Tate County, Mississippi, on August 14, 1883, being one of three children. His parents inculcated in him those high religious ideals which were a part of their family life, and he was taught early the habits of industry and thrift and the lessons of honesty in all of his dealings with his fellowmen. Steve, as he is affectionately and widely known to his multitude of friends throughout the state, received his early education in the states of Mississippi and Texas, spending some time at the famous Webb Preparatory School at Bellbuckle, Tennessee, the Thomas Arnold High School at Salado, Texas, and the G. R. C. College at Henderson, Tennessee. For his business career he prepared himself by attending Eastman’s Business College at Poughkeepsie, New York. In the early part of 1903 he took up his residence at Fort Worth, Texas, with his father, and immediately thereafter entered into the livestock business. After the lapse of some three years he disposed of this former business and became one of the organizers and executive officers of the Harkrider-Morrison & Company, the name of which company was later changed to Harkrider-Keith-Cooke Company, which carried on a wholesale fruit and produce business, having and maintaining its principal office in the City of Fort Worth, with many branch offices throughout the State. Brother Cooke moved to Brownwood, Texas, as an officer of this company, and remained at Brownwood for about a year and a half. After leaving Brownwood he returned to Fort Worth, and the company grew to be a concern of large proportions and quite successful, and after a period of some ten years Brother Cooke disposed of his interest in the Harkrider-Keith-Cooke Company and immediately thereafter organized an automobile sales agency, representing in Fort Worth Dodge Brothers, and has remained in this business continuously since 1916, owning and operating what is now nationally known and recognized as one of the outstanding Dodge agencies in the United States, under the name of Steve Cooke Motor Company. Back in Tennessee, while still a small boy in school, he became acquainted with Miss Ella Ozier, who in 1907 moved to Amarillo, Texas, from Tennessee, and during the interim of childhood to manhood this childhood friendship developed into true and lasting affection, which resulted in their marriage in April, 1913. Texas has no more charming and gracious lady than Brother Cooke’s wife, and certainly no man has ever had a more helpful and understanding wife and cornpanion than she. Brother Cooke’s ability to give so much of his time down through the years to Masonry is due in a great measure to the unselfishness of this delightful and attractive lady. 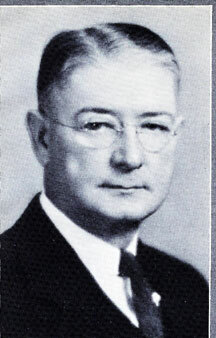 Early in life Brother Cooke allied himself with the Christian church, and he has for many years been an active member of the First Christian Church of Fort Worth, an officer of this institution,, and in addition has served for many years as one of the members of the board of the Texas Christian University. He has been tendered on many occasions positions of high political preferment, but has steadfastly refused to accept the same, though he has at all times been active and sympathetic in all matters of civic and social welfare of this city, and was on the first board of directors of the Fort Worth and Tarrant County Improvement District and is a member of the Civil Service Board of his city. So far the above is a sketch of our Brother’s personal, public and Christian activities, and it is not amiss to give in this sketch something of the personal characteristics which have dominated his life and which are outstanding and apparent to those who know him best. He is a gentleman of the very finest instincts, good natured at all times, calm under the most stressing of circumstances, democratic, and always has time to discuss any subject with those who may seek his advice and counsel. Sincerity, frankness and personal honesty stamp his every action and word, and while he is noted for his tenacity of purpose in anything that he undertakes to accomplish, still at the same time he is at all times amenable to reason and never hesitates to seek the counsel and advice of those in whom he has confidence and respect. It would naturally follow that one who has led such a busy and active life and been the recipient of so many preferments and honors, has had to engage in controversies concerning which there was a difference of opinion; yet his adversaries have always recognized his ability and courage and at the same time maintained the friendliest of feeling and admiration for him. He is gifted with that power of executive ability which at the same time secures from those who work with or under him their desire to succeed in order that he himself will be successful. It was these outstanding qualities, his business experience, his executive ability, coupled with his Scotch-English commonsense, that stamped his administration as Grand Master as one that is not only outstanding in Texas but will be quoted and pointed out during the years to come. 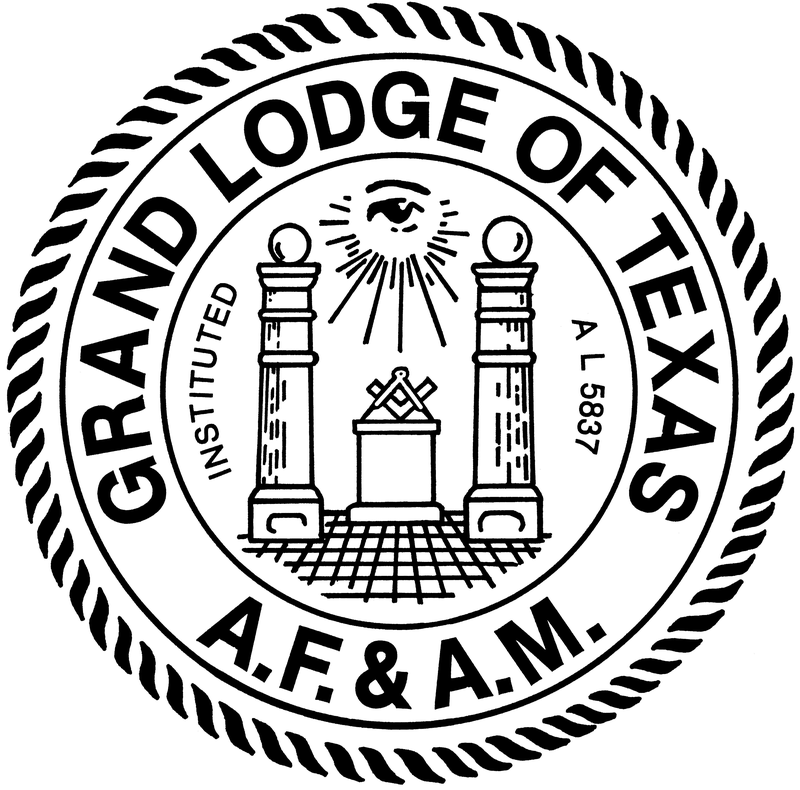 It was fortunate that the Masons of Texas placed in his hands the gavel of leadership at a time when his talents were so sorely needed and desired. Brother Cooke was initiated on March 13, 1911, passed April 17, 1911, and raised May 16, 1911, in Brownwood Lodge No. 279, Brownwood, Texas; he later demitted and affiliated with Julian Feild Lodge No. 908 at Fort Worth, and in December, 1922, became a charter member of W. W. Peavy Lodge No. 1162 of Fort Worth and at the same time its first Senior Warden. He served as Worshipful Master of W. W. Peavy Lodge in 1923, and served as District Deputy Grand Master in the 64th Masonic District in 1924; was Grand Marshal in 1927-1928; Committee on Lodges under Dispensation No. 1, 1922-1923; Committee on Finance, Grand Lodge, 1926-1930; Grand Junior Warden, 1931; Grand Senior Warden, 1932; Deputy Grand Master, 1933; Grand Master, 1934; Chairman Committee on Policies and Purposes, 1935; The Grand Representative of the Grand Lodge of Mississippi near the Grand Lodge of Texas. He received his degree of Marked Master, Past Master, Accepted Most Excellent Master, and exalted to the Royal Arch in Brownwood Chapter No. 141, R.A.M., at Brownwood, Texas, in June, 1911, there-after affiliating with Fort Worth Chapter No. 58 of Fort Worth, Texas. He was admitted Royal Master and Select Master in August, 1911, in Brownwood Council No. 86, of Brownwood, Texas, later affiliating with Fort Worth Council No. 42, Fort Worth, Texas. Brother W. S. Cooke was knighted in Brownwood Commandery, Brownwood, Texas, and later affiliated with Worth Commandery No. 19 at Fort Worth, Texas, and is now Past Commander of Worth Cornmandery No. 19; Committee on Grievances and Appeals, 1933-1934; Committee Doings of Grand Officers, 1934-1935, Grand Commandery of Texas. 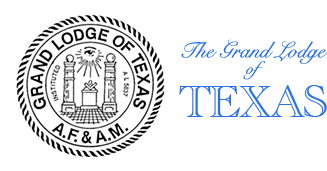 Brother Cooke received the Scottish Rite Degrees in 1916 at Dallas Consistory, and has been a member of the 27th and 29th Degree Teams since 1916 and at the present is Master of the 29th Degree, Dallas Consistory. He received the rank and decoration of Knight Commander of the Court of Honor in October, 1921; was crowned 33rd Degree of the Ancient and Accepted Scottish Rite of Freemasonry, S.J.U.S.A., receiving the rank and dignity thereof at the House of the Temple in Washington, D.C., on October 23, 1925; was received in the Royal Order of Scotland in Washington, D. C., on October 24, 1925; received the order of’ Red Cross of Constantine in Saint Mark’s Conclave No. 13 of Dallas, Texas, later transferring and becoming a charter member of Saint Timothy Conclave No. 65, Fort Worth, Texas, and was Puissant Sovereign of Saint Timothy Conclave 1932-1933. Brother Cooke joined Hella Temple, A.A.O.N.M.S., in August, 1912, became a charter member of Moslah Temple at Fort Worth on July 4, 1914, served as its Illustrious Potentate during the year 1920, and has for many years been Moslah Temple’s Imperial representative. While Brother Steve Cooke has earned a respite and rest from his strenuous labors “for the good of the Craft” in this Grand Jurisdiction, we hope and we know that Masonry will continue to receive the benefit of his wise counsel and active efforts for many years to come. He is the type of leadership that Texas Masonry not only needs but appreciates, and as the years got by and the annual communications of our Grand Lodge convene, it is safe to say that in the forefront of the outstanding members of that august body will be found one of its most devoted, loyal and sincere members and workers, our beloved Past Grand Master, William Stephenson Cooke.